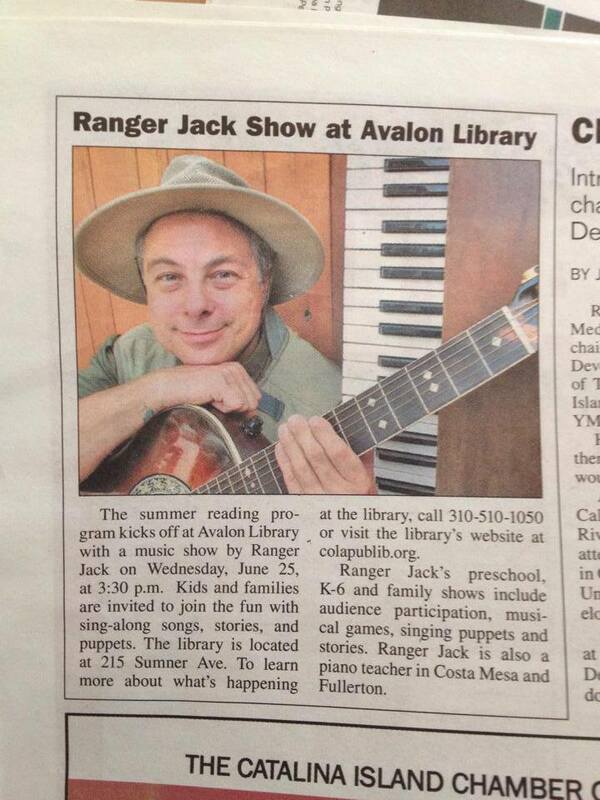 Ranger Jack was kind enough to give myself and a fellow library staff member a private concert one afternoon. He was very professional and brought his own instruments. 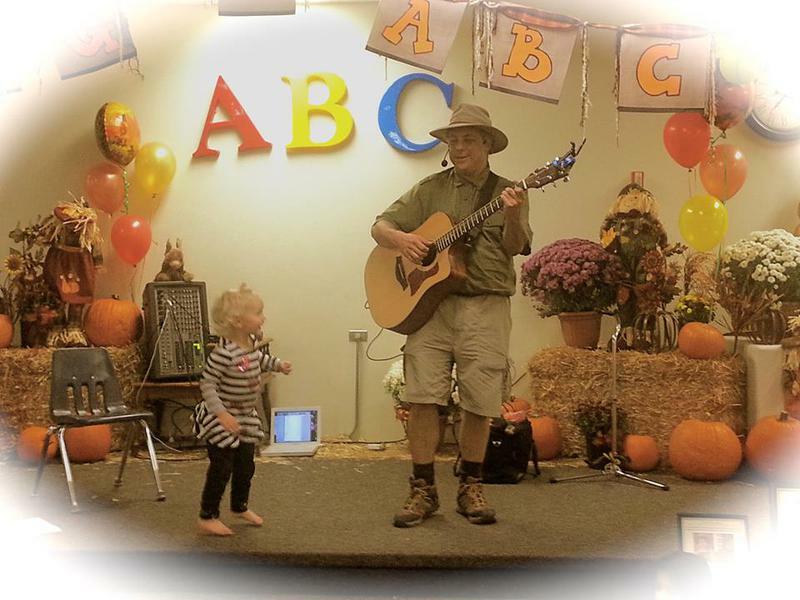 We were both engaged in his songs and sang along with the songs we knew. 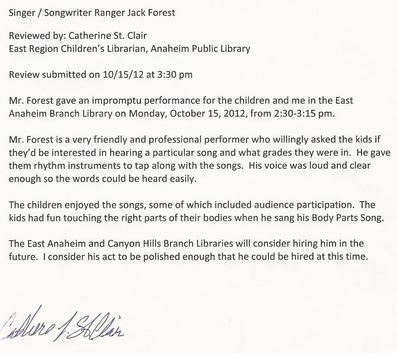 With just the short performance we were able to experience we know that the children we have come to our Prime-Time performances (family based night program) would be completely engaged and will participate with his music and songs. 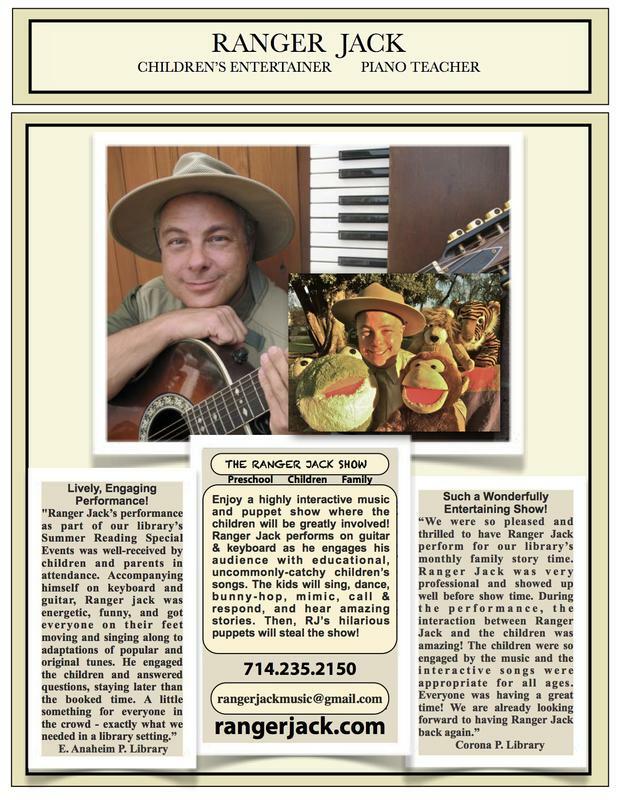 We hope to have Ranger Jack come back in the near future! March 19th, 2013 and again a year later for June 17th, 2014. 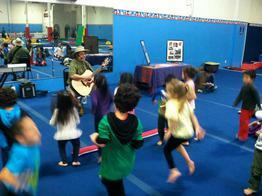 "A fun musical experience for kids!" - Bella Terra Mall, Hunt. Bch.